Joshua Bell brings the music of his beloved Bach vividly to life. 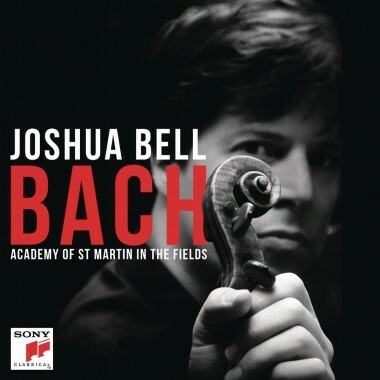 Bach is the second album released by Grammy Award-winning violinist Joshua Bell and the Academy of St Martin in the Fields, since Bell became the Academy’s Music Director in 2011. Bell performs Bach’s sublime Violin Concertos No. 1 and 2, along with a never-done-before ‘violin and orchestra’ arrangement of the famous Chaconne from the Partita No. 2 (adapted from Mendelssohn’s piano accompaniment), the Gavotte en Rondeau from Partita No. 3 for solo violin (using Schumann’s accompaniment), and the universally beloved ‘Air on the G string’. The album was placed at #2 in Classic FM’s Albums of the Year 2014. Go behind the scenes on the making of Bach with Joshua Bell.